This is my favorite black and white bridal portrait to date. 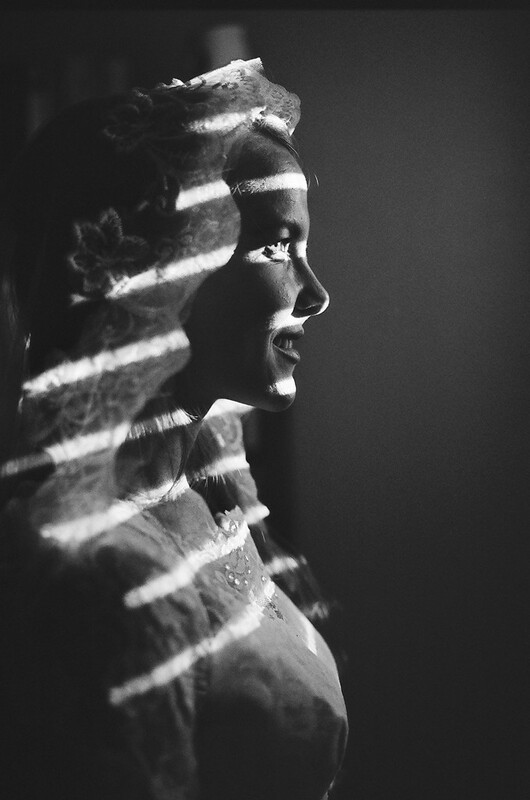 As the bride was putting on her vintage lace veil, I noticed slices of light falling dramatically, and knew I wanted to create a unique portrait. I also wanted the photo to have a vintage feel because she was wearing a vintage wedding gown from 1965. I chose Ilford XP2 400iso film because it would isolate the light by not distracting with color. This portrait looks like it was taken in 1965. Film has a very classic look, which lends itself to the artistry of this image. Keywords: Black & White (30), Bride (21), Modesto (15).